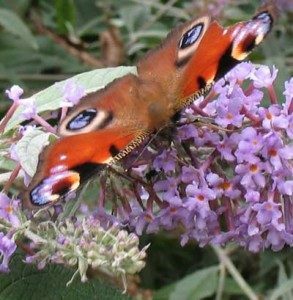 The Big Butterfly Count is taking place from 14th July – 6 August 2017. The big butterfly count is a nationwide survey to assess the health of our environment. The numbers of butterflies continue to decline, & this survey will help work out what is going on in the butterfly world. Climate change is warming up the UK & we are seeing some new species. The hummingbird hawk moth usually lives in Africa, but we are getting more sightings of it in the UK. We actually saw one in our garden this week. It has a very long probosis, which it holds straight out in front of it when it is feeding on our Lilly flowers. It flaps its wings so fast while it hovers to feed, that you can hear a humming noise. More about the Hummingbird Hawk Moth can be found by clicking this link. 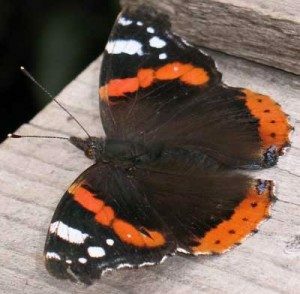 Butterflies love the sun and collect on the roof of our bird table, which faces south and is warmed by the sun. Download and print out the Butterfly Chart from the Big Butterfly Count site to help you identify and record the butterflies you spot. Count butterflies for 15 minutes during bright (preferably sunny) weather from 14th July – 6th August. Send in your results to https://www.bigbutterflycount.org/species or use the free ap which can be downloaded from the website. The survey is run by the charity Butterfly Conservation to encourage sustainable agriculture and help to protect the environment. We have 59 species of butterfly in the British Isles and over 75% of these are in decline. 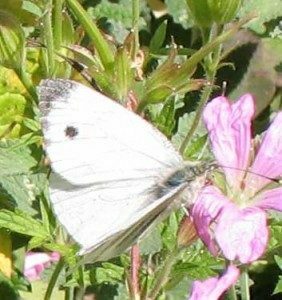 Butterflies are beautiful and vital to the health of our environment, although some like the Cabbage White are not so welcome! 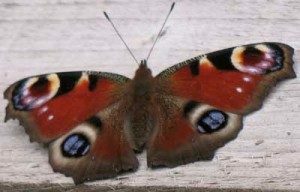 The Small Tortoiseshell and Peacock are often found hibernating in the house, around the curtains. Hibernating butterflies can be gently removed from the house and put in a garden shed, which will provide an ideal sleeping place. Taking part in the Big Butterfly Count helps the Butterfly Conservation Organisation track the health of our butterfly population.